Here is a great article by Kate Wood from This Old House magazine. Cascade Greens offers different products than noted in the article. 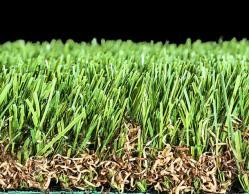 But it is a good source of some additional information about artificial turf. Enjoy! Early turfs were made from densely woven tufted nylon, but today’s synthetic lawns use soft strands of polyethylene or polypropylene. One maker, SYNLawn, has upped its environmental cred with polyethylene derived from sustainably grown sugarcane. And while you can opt for a putting-green look, the best new turfs rely on a mix of blade lengths and shades of green—and even brown—to mimic specific varieties like fescue or Kentucky bluegrass. Older turfs were basically carpet: slow to drain and with zero cushioning. Now there’s more to it. For stability, the first layer is durable, porous landscape fabric, then the drainage material, such as gravel. Next comes the turf itself, which is woven onto a permeable synthetic backing. Last comes a layer of infill—silica sand or the like—to help anchor the turf and make it feel more natural underfoot. A bottom layer of brown polypropylene fibers on this turf from SYNLawn encourages the tall blades to stand up. While there’s no mowing, you’ll still have to clear out leaves and other debris using a plastic rake. To prevent odors, pet owners must pick up waste and clean vigilantly with a no-rinse disinfectant that attaches to your garden hose. 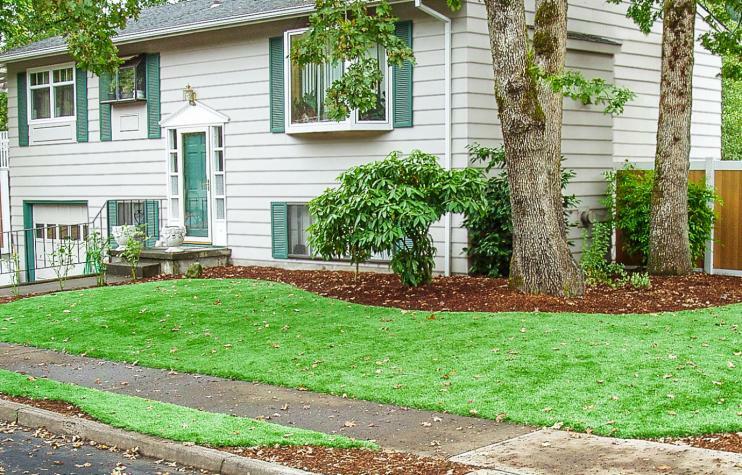 ForeverLawn’s K9Grass, designed to be pet-friendly, skips the infill to improve drainage and make digging less inviting. To decrease heat absorption, ProGreen reduced the surface area of the blades in some of its turf grasses so they stay cooler. 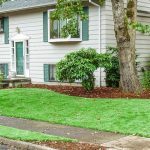 After the initial outlay of around $10–$20 per square foot for installed turf, you’re essentially done: no buying seed, fertilizer, or mower gas, and your landscaping water usage should plummet. 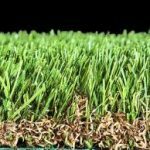 With these savings, you should recoup the cost of synthetic turf in five to eight years—and it can last twice that long, staying green the whole time.